This recipe comes from the lovely folks at King Arthur Flour (aka Baking Illustrated and Bakers’ Catalog). 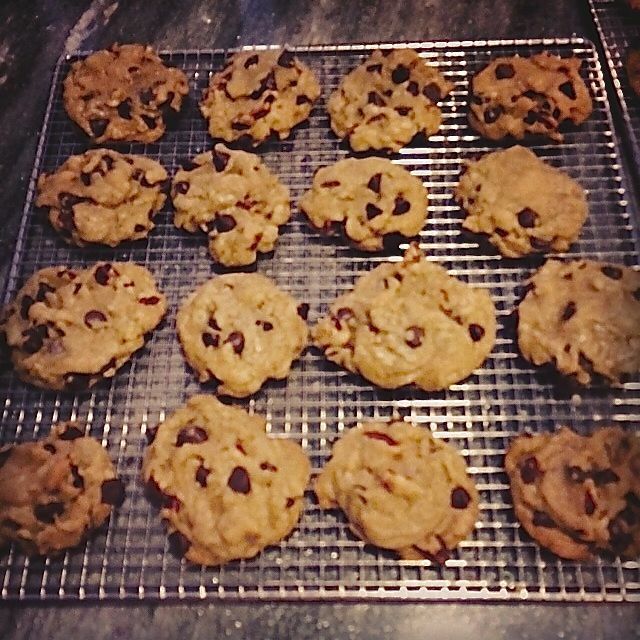 The recipe can be found here: “Perfect” chocolate chip cookies. The key is to ensure the butter is browned enough to add that lovely rich toffee flavor but to not burn the butter (burning the butter is not a positive). The recipe is a bit more work than the average chocolate chip cookie recipe, but the results are well worth it. The cookies are chewy, rich, and flavorful.